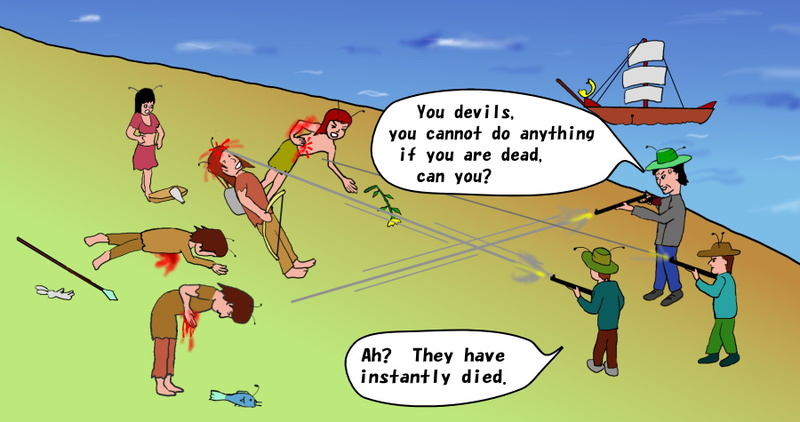 The attackers thought that they met the devils and killed them, who were actually humans. One day, the people below misunderstood different people as devils and killed them when they met each other for the first time. However, after the attackers came to themselves, they understood immediately that the people they killed were not devils. It was because the victims were too weak to be as demons. N.B. Please refer to "Nervous at First Meetings" for the reason why they killed. This scene comes from the picture book.